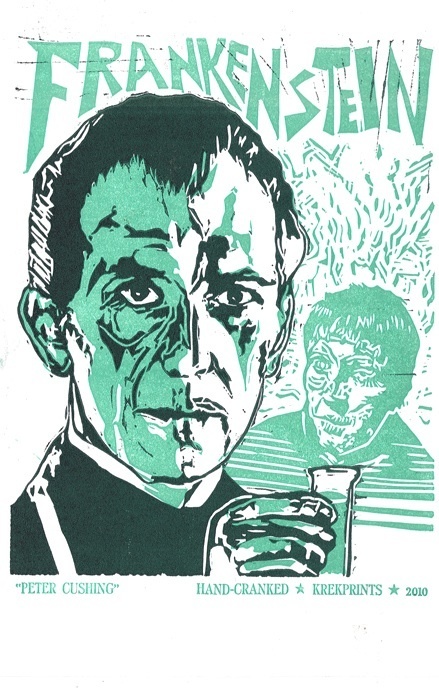 This entry was posted in Uncategorized and tagged art, Asheville, B- mOvies, folk art, frankenstein, genre films, Halloween, hammer, hammer films, hand prints, horror movie, linocuts, monster, monster art, peter cushing by Jason Krekel. Bookmark the permalink. I’m watching Dracula Has Risen from the Grave right now on TCM!